This garden has everything for multi-seasonal outdoor living and entertaining: a dark lined lap pool and spa, private dining spaces, a fireplace and ample room for entertaining. It also featured some vignettes of structure to add form to all the carefully designed function. 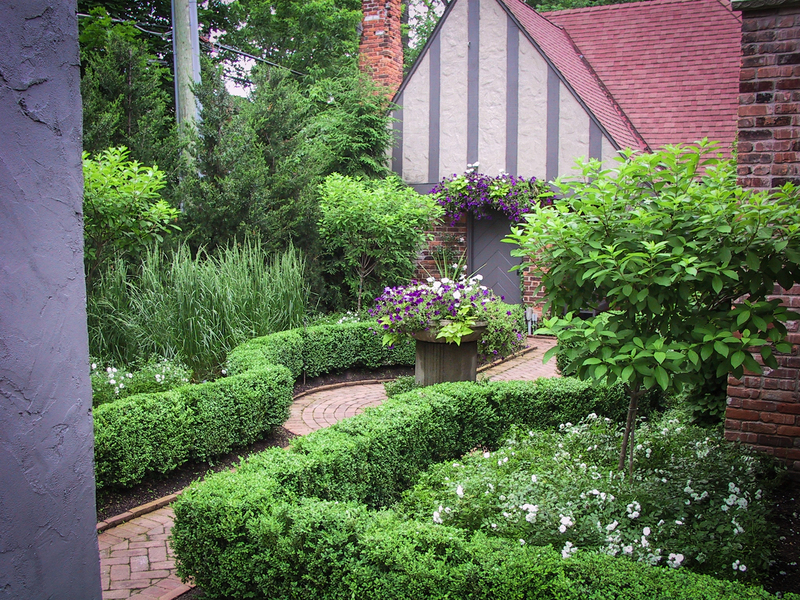 Here’s a look at a boxwood flanked clay brick path with a charming urn-centered focal point. A perfect compliment to the traditional Tudor styling, offsetting some of the more clean-lined contemporary spaces and the owners minimalistic aesthetic. Here’s a view from the other end of the path.